We, members of civil society organizations and people’s movements across Southeast Asia, allied with and resounding calls from the region’s most vulnerable peoples, call on ASEAN member governments to pave the right development path towards a genuinely resilient and thriving Southeast Asia: a development path that is people-centric and proactive in the face of climate change realities. On its 50th anniversary, ASEAN has prided itself on its sustained economic growth throughout the past years, as measured by the acceleration of its regional GDP expansion from 2016’s 4.7% to 4.8% in the first quarter of 2017, and in its increase in the share of global GDP from 5.9% to 7.7%. Driven by this achievement, ASEAN governments are now determined to maintain and further cultivate the region’s economic growth by securing the energy needs that such growth entails. The region’s countries, like Vietnam, Indonesia, and the Philippines, are set to build their development plans on the foundation of dirty fossil fuel-sourced energy, supplied first and foremost by coal, and followed by natural gas. Three of ASEAN countries are among the South East region’s top seven in pushing for a 124-GW build-up of coal plants — close to 15% of the total global expansion that is currently in the pipeline. Furthermore, ASEAN is set to establish a Trans-ASEAN Gas Pipeline. We denounce these fossil-fuel-reliant development plans to be a gross denial, not only of ASEAN’s global commitments to address climate change but also of the impending adverse climate impacts that predominantly affect the people of the region. We remind the ASEAN governments that as far back as 2007, the region’s leaders have issued declarations and statements expressing their common positions and goals towards a global solution to the challenge of climate change, and their resolve to achieve a regional community that is resilient to climate change through national and regional actions. We also remind ASEAN governments, all of which are Parties to the United Nations Framework Convention on Climate Change (UNFCCC), of their Nationally Determined Contributions (NDCs) in support of the 2015 Paris Agreement, which urgently demands proactive policy choices — the most urgent of them being decarbonization — in order to be achieved. The region’s business-as-usual reliance on traditional and carbon-intensive fossil fuel energy pushes the future global temperature to rise up to levels that are much greater than the threshold of a 1.5-degree increase. Other regions of the world, particularly Europe, are already taking steps to abandon new coal projects and retire old ones. The proliferation of the coal industry has historically been a bane on the welfare and development of its host communities, as attested by the coal-affected people of the region. Countless violations of the people’s rights to health, food, water, land, and security, among others, have been committed in the name of maintaining and expanding coal infrastructures. These coal and gas expansion projects not only prove to be oppressive to the communities — future and present — but are also unresponsive to the energy needs of the people. Energy poverty still persists in ASEAN countries, as fossil fuel energy primarily powers huge industries rather than the needs of the households. The planned Trans-ASEAN Gas Pipeline, which professes to promote energy accessibility and security across Southeast Asia, also lays down a future of human rights violations inflicted by huge Liquefied Natural Gas corporations like Petronas, the ASEAN-mandated corporate leader of the task force for the development of the (TAGP) project. A wider percentage of Southeast Asian people are set to feel the impacts of ASEAN’s unrelenting support for fossil fuel expansion, with more than 55,000 lives projected to be lost by 2040 due to pollution-related diseases. We stress that despite the celebrated increase in GDP growth, the region’s level of extreme poverty remains high; and conditions that propagate this poverty are set to be exacerbated by both the acute and the slow, onset impacts of a rising global temperature. The region’s extreme vulnerability to climate change impacts cannot be understated, given that a large proportion of its population and economic activity is concentrated along coastlines, and the region is heavily reliant on agriculture for livelihoods, such as in its fisheries, aquatic resources, forestry, and other natural resources. 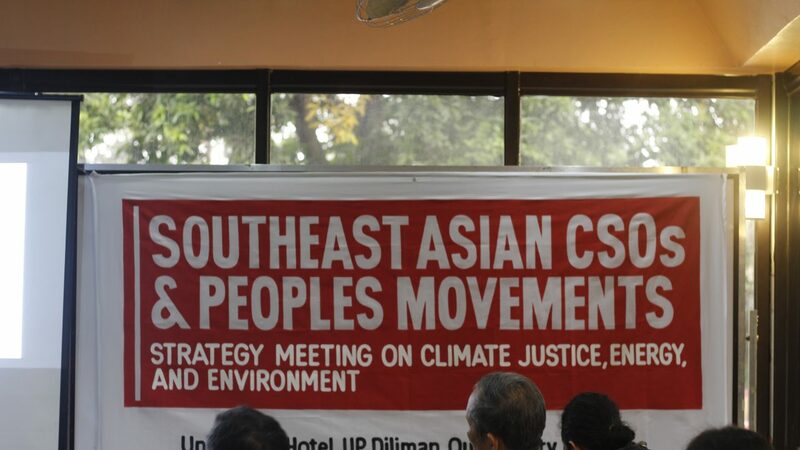 Further threats to the livelihood of Southeast Asian peoples are spurred by ASEAN’s neoliberal development and growth paradigm, which puts profit before people and the environment. A report by Asian Development Bank Institute states that development projects, such as excessive groundwater extraction, contribute to the degradation of the regions’ fresh water sources, resulting in the inaccessibility of secure and clean water supply. The expansion of palm oil plantations, particularly in Indonesia and Malaysia, has also become one of the major drivers of deforestation in Southeast Asia. These results in the deterioration of the quality and the quantity of arable land in the region, which adversely affects rural agricultural workers, and threaten food production. Moreover, the aforementioned energy development pathway of the region has contributed largely to air pollution, which is found to be a primary cause of illness and death in Southeast Asia. 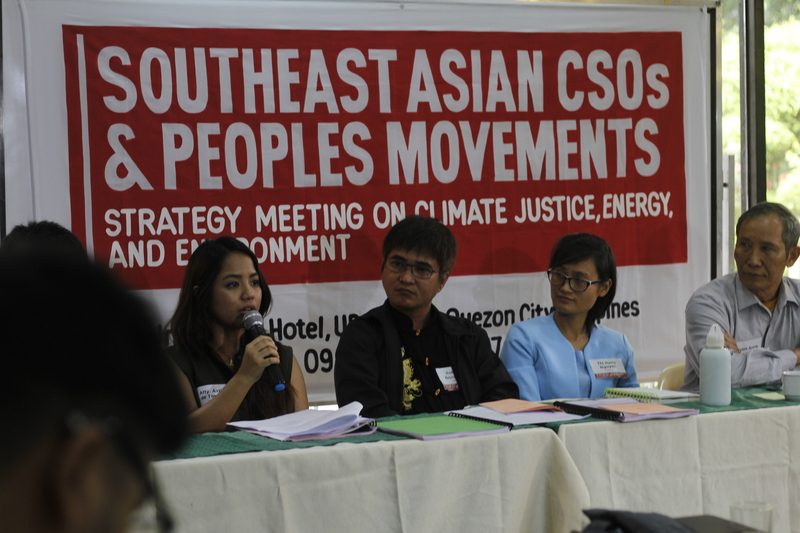 Given the serious impacts that climate change pose to the people and the environment and the exacerbation of these impacts due to ASEAN governments’ pursuit of neoliberal policies, we stand firm in our conviction that no part of the environment can be owned for private and profit-driven ends. We urgently call on ASEAN leaders to stop using the pretext of supporting regional development in their support of the expansion of coal and gas industries, export-oriented mono-crop plantations, extraction of timber products and minerals, construction of large hydro dams, and other harmful projects. No true development comes with the price of the destruction of environmental and the violation of human rights. people-centered and community-based, such as the development and usage of renewable energy that drives an economic growth that will directly benefit the people. The development pathway to be undertaken by ASEAN leaders in the Summit has heavy implications for a world that is on a race to fulfill its climate commitments and for a region whose people are at the forefront of climate change impacts. ASEAN’s business-as-usual approach will not do to address this reality. The Summit only becomes a Summit for all ASEAN people if it takes on the responsibility to provide a systemic approach to development that locks in on the major challenges to genuine and people-centered growth. Commits to a global target of keeping temperature rise below 1.5 degrees.